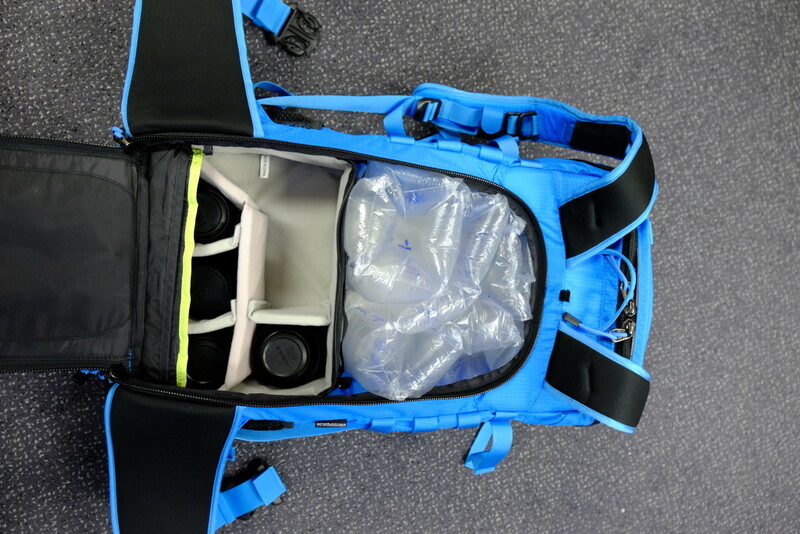 The search for the perfect camera bag is eternal and everlasting. So it seemed these last few years. 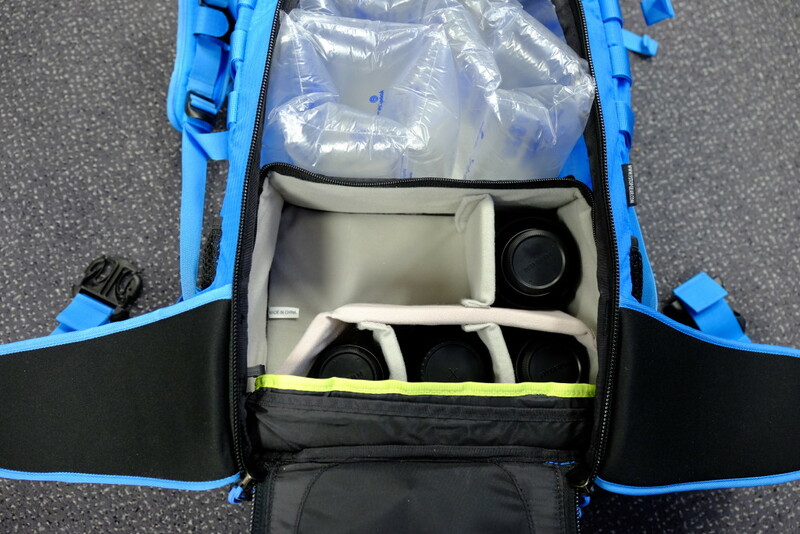 It didn’t help that I frequently acquired new gear, making bags selected on the perfect dimensions suddenly too small, or even changed systems a few times (Canon APS-C to fullframe to Fujifilm). Sometimes bags lasted a mere week before being returned, sometimes years. 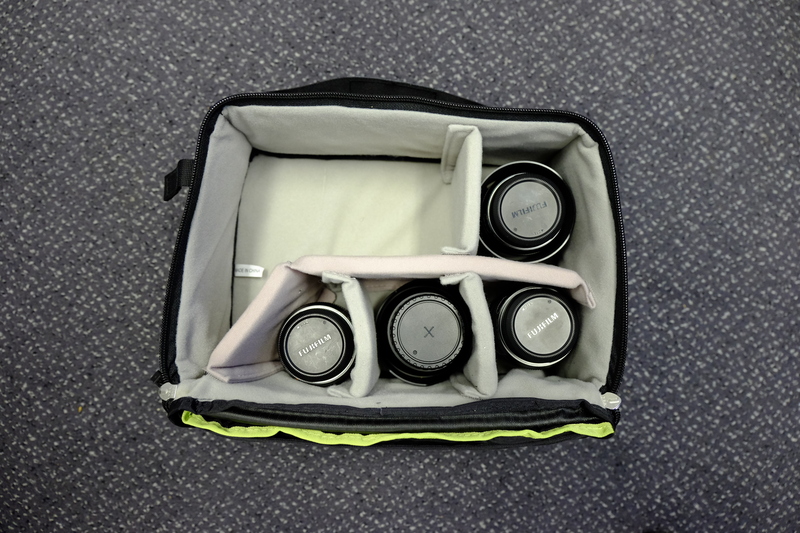 After the switch from Canon fullframe to the Fujifilm X-system, I’ve been very happy with the Billingham Hadley Small and Lowe Pro Hatchback 16l, using them for one body with up to 5 lenses (mostly primes). For professional work, however, I recently acquired the 16-55 and 50-140 f/2.8 lenses, forcing me to dive once again into the world of camera bags. My temporary solution was a Crumpler shoulder bag (New Delhi 510). 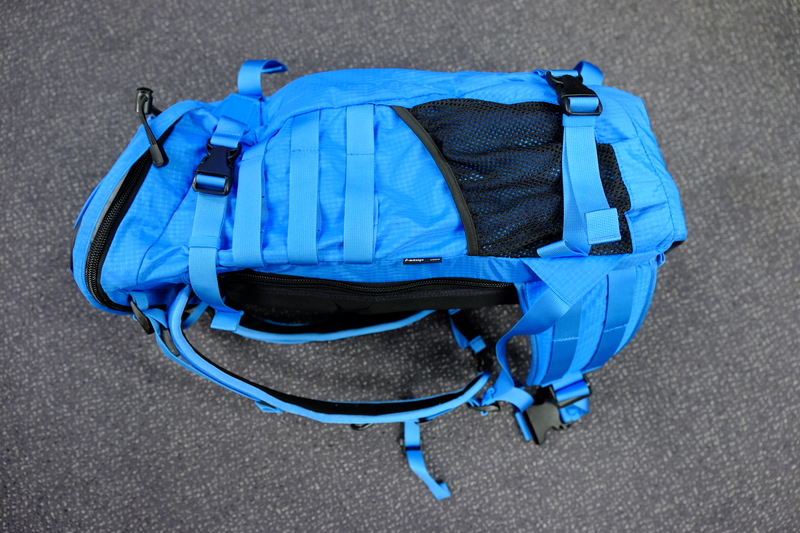 A quality bag, but a constant source of shoulder pain when carried day-long. A backpack was the obvious solution. 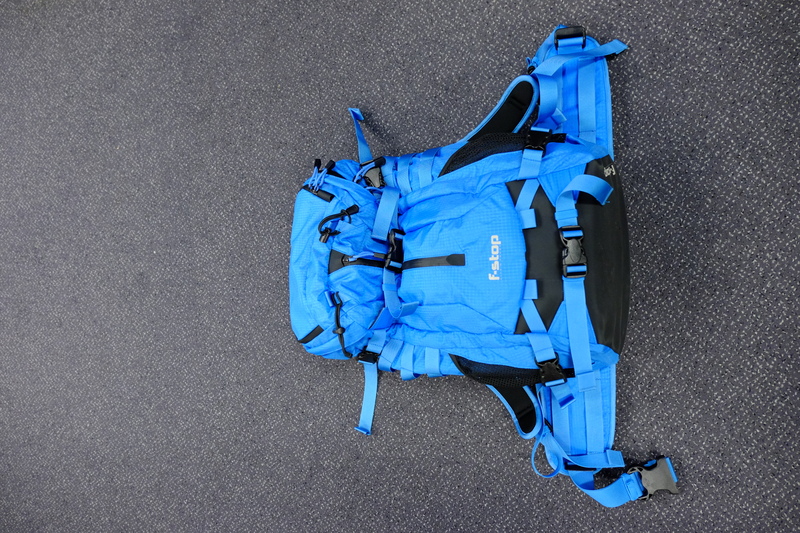 Researching camera backpacks back in 2014 I eventually settled on the Hatchback, but the larger version of this pack was still not large enough to accomodate my gear now. To make matters more complicated, I wanted a bag in which I could carry all my gear at some point, but also just the minimal stuff combined with other items. 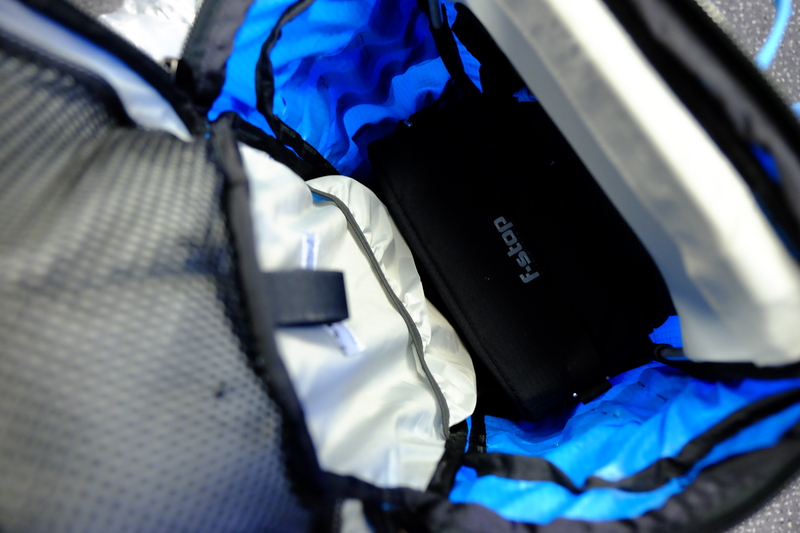 Comfortable, preferably waterproof, light, durable, practical, safe. The list of requirements was long.. 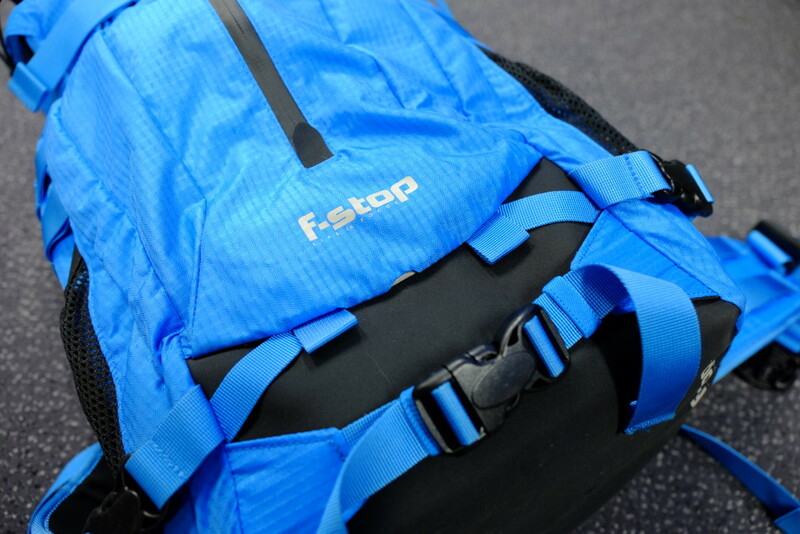 I think I may have found the answer: the F-stop gear Loka. Searching for a camera bag last year, I also looked at the F-stop bags with longing, but I couldn’t justify the costs of the (then on my list) F-stop Kenti. This time around I again found myself turning to the Loka bags as the perfect solution (at least on paper), so I decided to take the plunge. More difficult than it sounds, because the bag I selected, the Loka, was no longer available at F-stop. 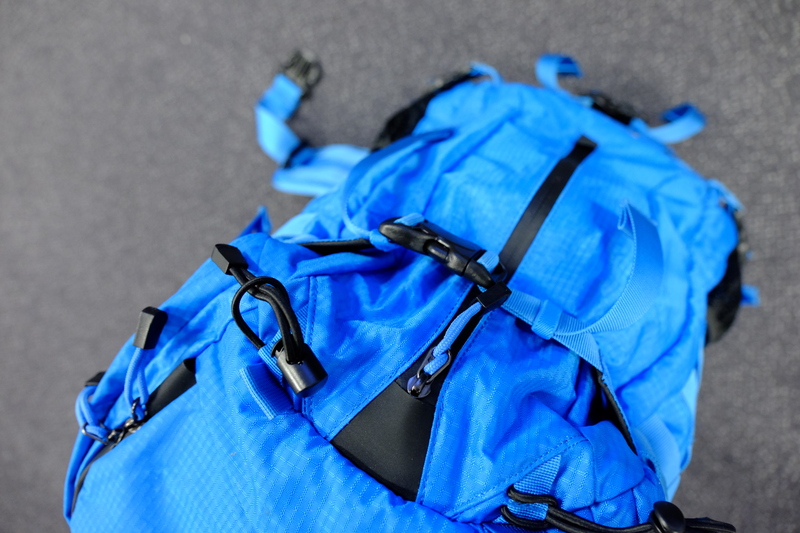 They made a new version (the Ajna), that had several features that I didn’t like, and an ultralight UL version, that was lighter, but less tough. Eventually I found one on e-bay, saving money in the process. Last week it arrived. It is everything I hoped for. There isn’t much to dislike. Fist of all, it is well made. The whole feel of the bag is one of absolute quality. 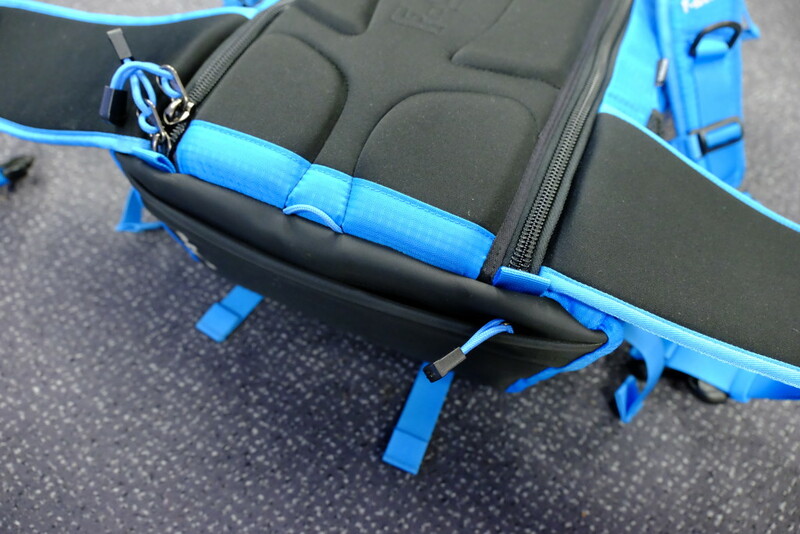 The zippers are large and rugged, the fabric feels stiff and solid, the straps are wide and and the clasps are first rate quality, something I found lacking in the Lowe Pro Photosport that I reviewed earlier. Quality is found also in the smaller details. 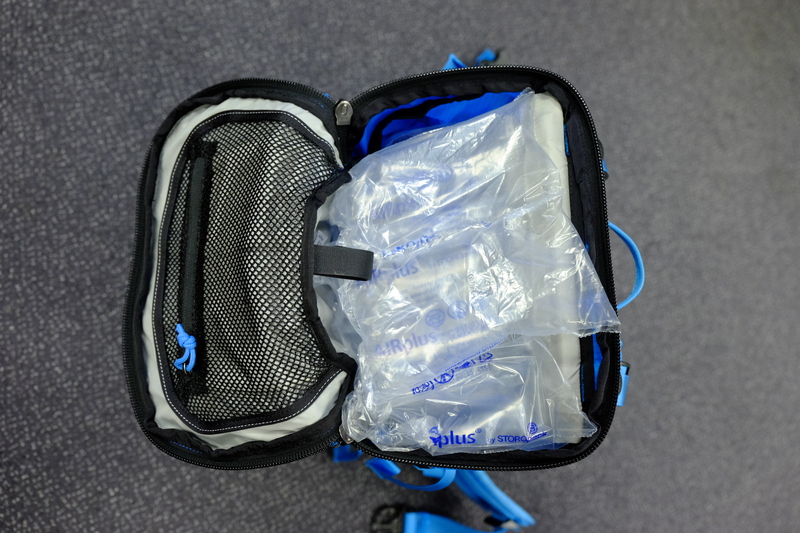 The small hole that allows the tube from the water reservoir from the inside of the bag tot he shoulder straps is protected by a rubber plate and can be closed with velcro. Usually this is just a hole with a flap. 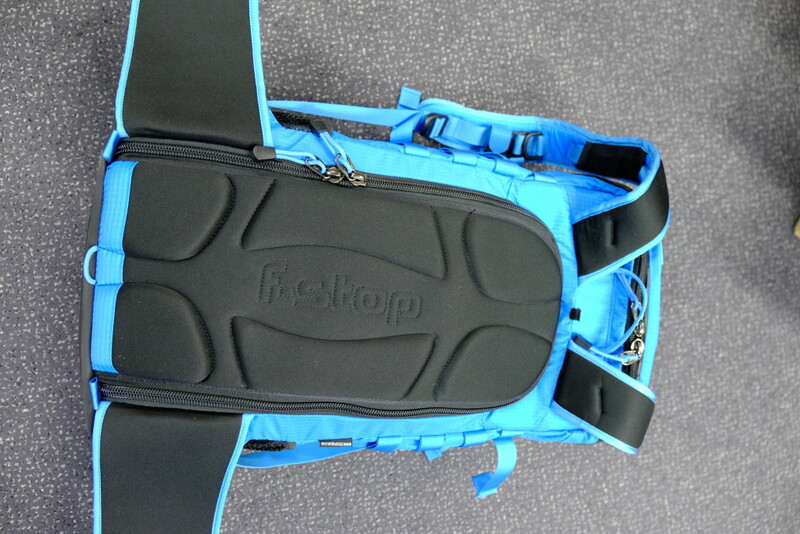 One of the main benefits of the F-stop is that it is designed as an outdoor hiking pack that can carry camera gear, instead of a camerabag that can double as a hiking pack. This means that comfort is definitely not compromised. 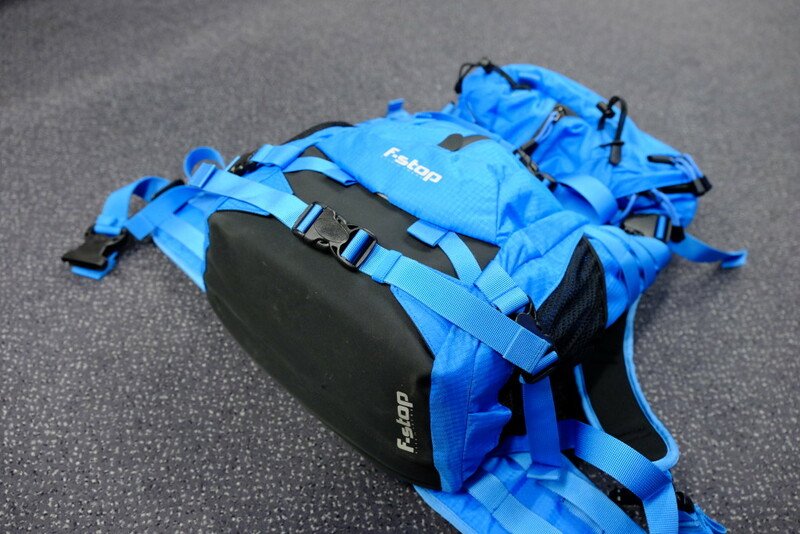 The padding on the shoulder straps and lumbar supports is thick, the lumbar supports are really supporting the bag, and the whole bag can be easily adjusted to your body. When correctly adjusted, the weight of the pack rests on your hips and not on your shoulders or back, decreasing risk of back pain. Another point to mention is the internal aluminium frame. 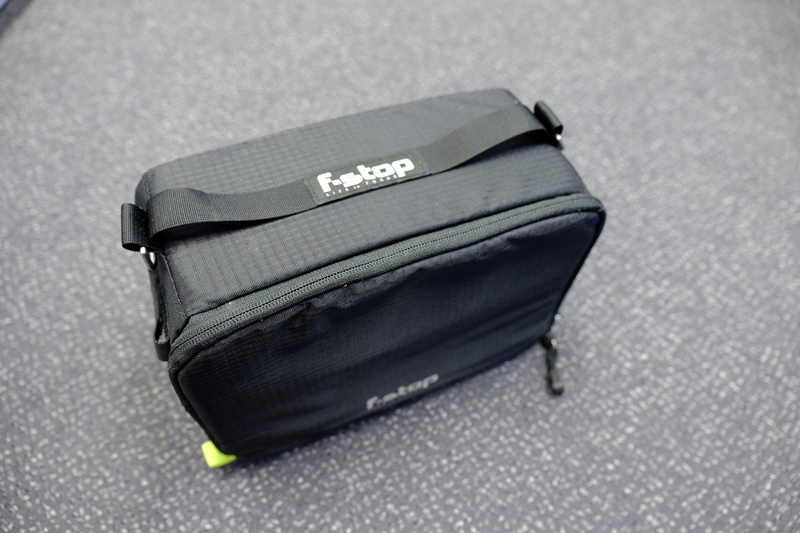 This frame makes sure the bag stays in the correct shape and keeps comfortable, even when little or too very much gear is stowed. 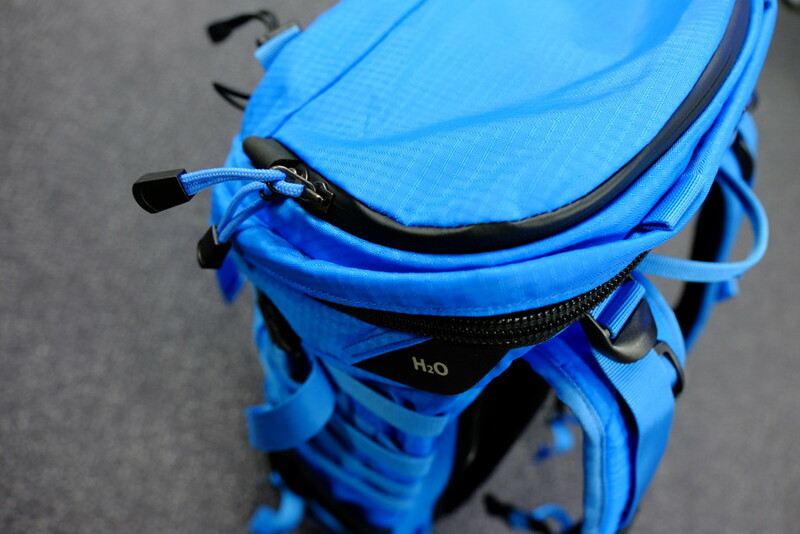 The Loka is designed to hold a water reservoir in a special pocket to the back of the pack, and the water tube can lead through the small protected hole in the top of the pack to the shoulder straps, where it can be secured using straps. Loka even sells special waterproof sleeves to make sure that leaky water reservoirs do not damage your camera equipment (but you pay extra). Another thing to mention is that F-stop gear also sells so-called gatekeeper straps, that you can attach at various points to the backpack to store and attach extra gear. 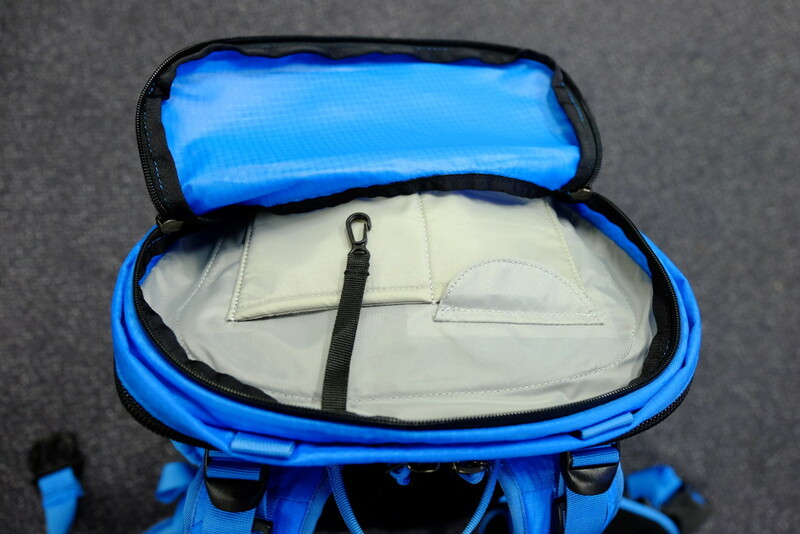 In addition, on both the lumbar supports and to the sides of the pack, so-called molle attachment points can hold lens or camera cases, for quick acces to your gear. One of the reasons for me to choose the Loka over the Loka UL was the fact that the bottom of the Loka is made from extremely durable material. There is no need to worry when placing your bag on rocky or even sharp terrain. This strong bottom also contains a pocket for a rain cover (not included). The pack itself is ‘water resistant’ but not waterproof. I have not had the chance to test how water resistant the Loka is. 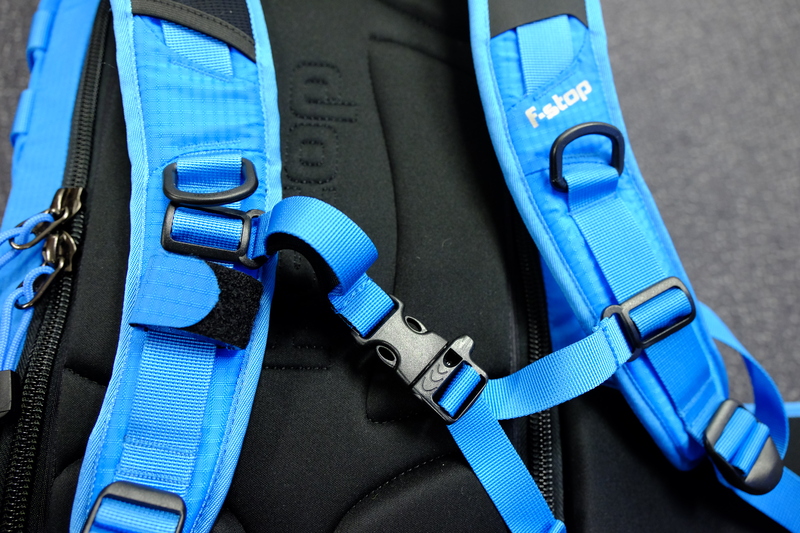 While most camerabags are designed with a certain space for your camera gear, and sometimes space for additonal gear, F-stop has taken a different approach. 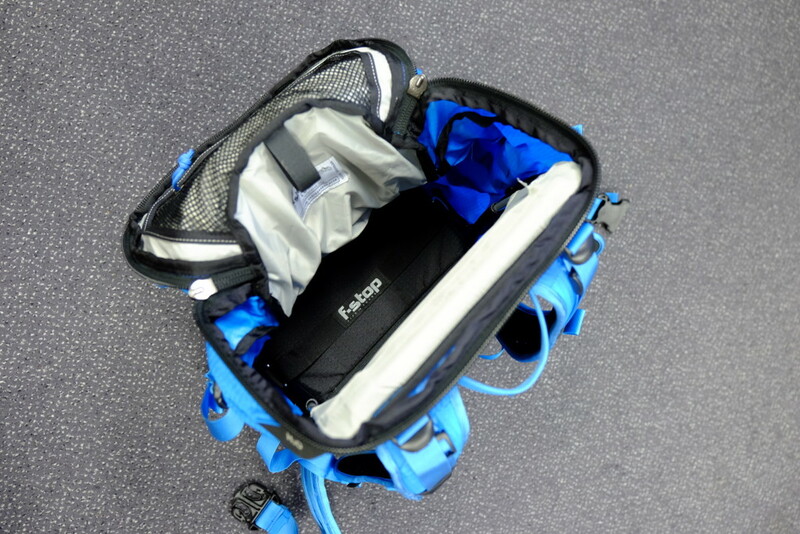 You buy the bag of your choice and buy a separate ICU (internal camera unit), in which you put your camera gear, and that you can attach to the inside of the backpack. It is attached quite solidly with velcro to the internal aluminium frame of the pack and is easily accessible from the back panel. The advantage of the ICU system is that you can swap according to the occasion. 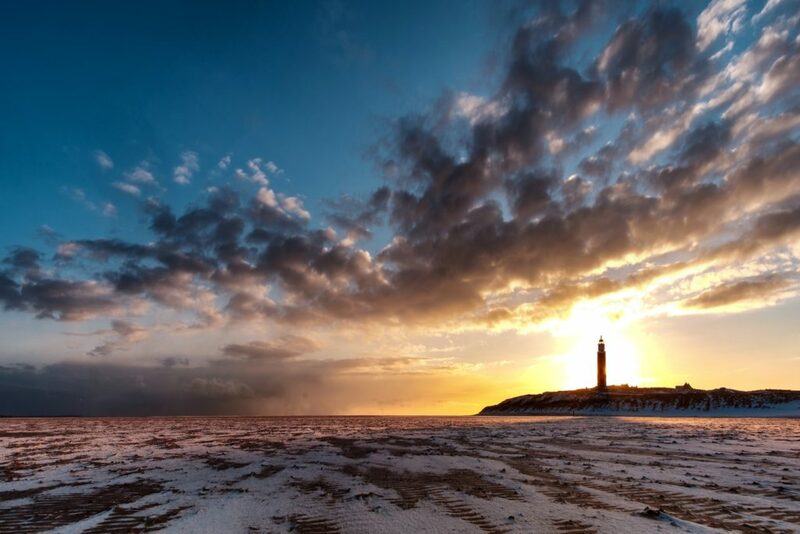 Are you planning a long hike with minimal photography gear, but lots of other essentials? 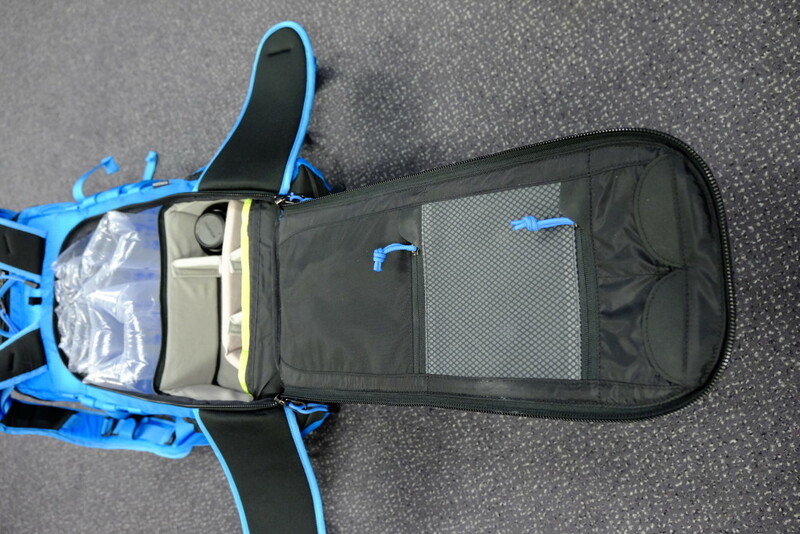 Take the small ICU and stuff the rest of the backpack with food, water, jacket etc. Are you just going out for an hour or so, and need all your gear? Take the large ICU. ICU’s come in all sizes and shapes and you can probably find one for every occasion. Mind you, you have to buy them seperately and they’re not cheap. Removing the ICU makes the Loka a normal comfortable 37 liter backpack. 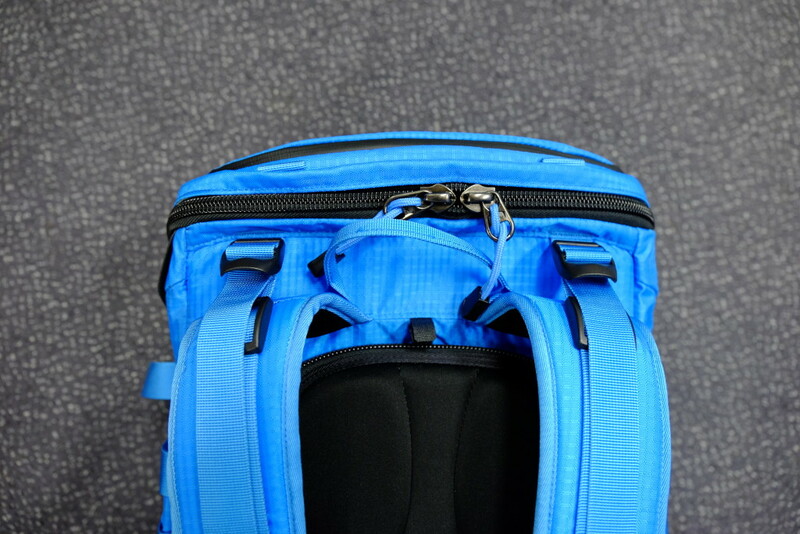 The size makes it suitable for cabin baggage on most airlines (but check beforehand)! Acces to the ICU is through the back panel. 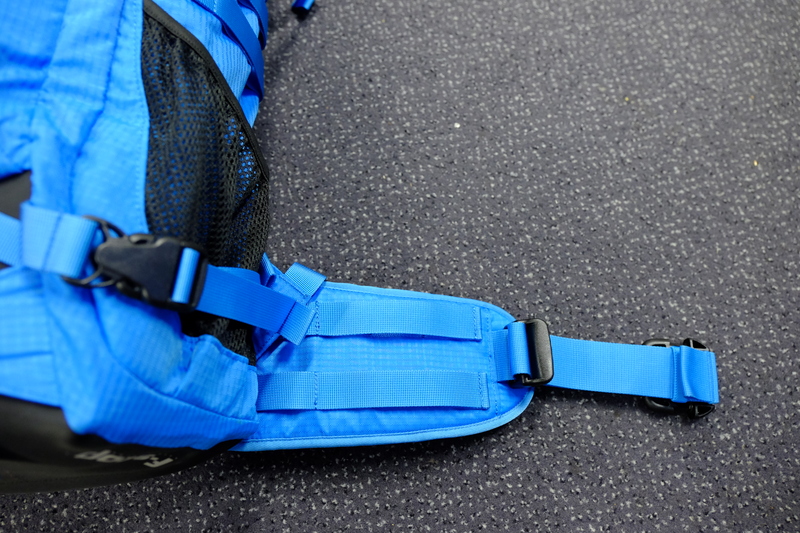 This means taking the bag off you back to get to your gear, but it also means it’s very safe against thieves. There is, however, a trick to take your gear without taking the Loka off your back. Keep the hip beld fastened, but not the strap connecting your shoulder straps. 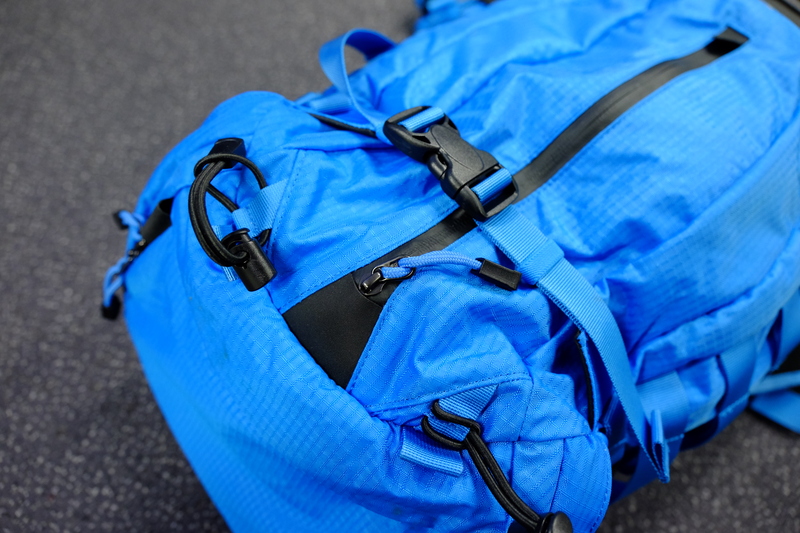 Swivel the pack to your front side. 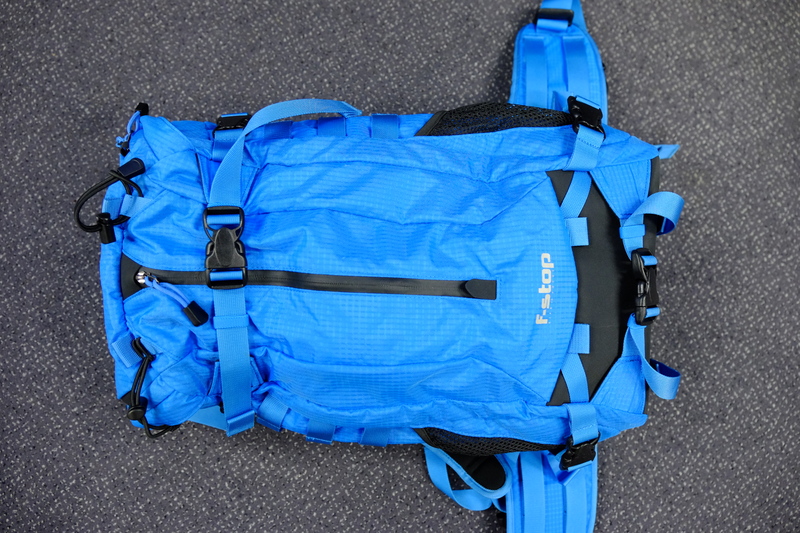 By keeping the hip belt fastened, you now have the pack horizontally in front of you and you can open the back panel and get your gear. There is no need to hold the pack at this point, so you have both hands free to change lenses or other stuff. 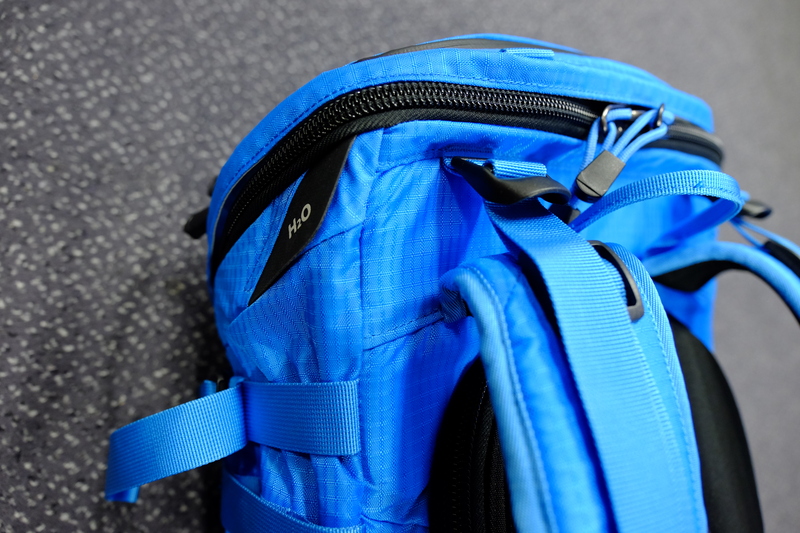 The Loka is the first backpack that I’ve tried that takes a tripod easily and comfortable. 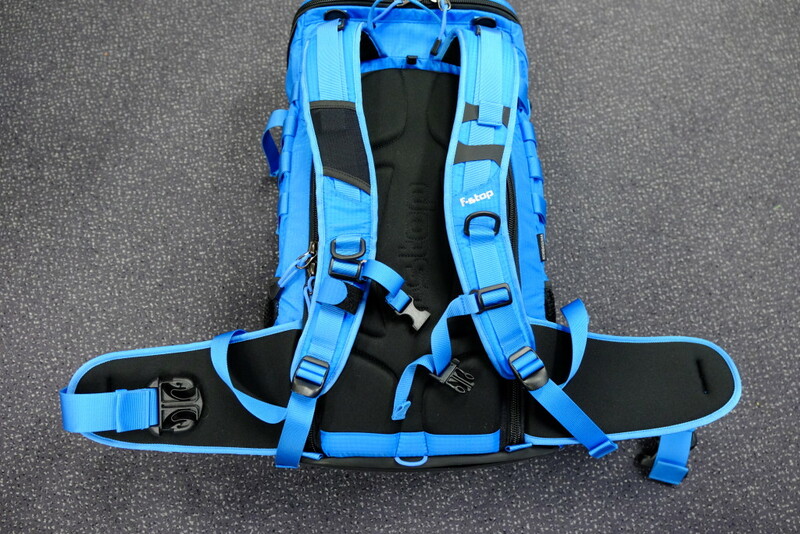 It is also the first backpack that I’ve tried that is this large, so that might account for this. 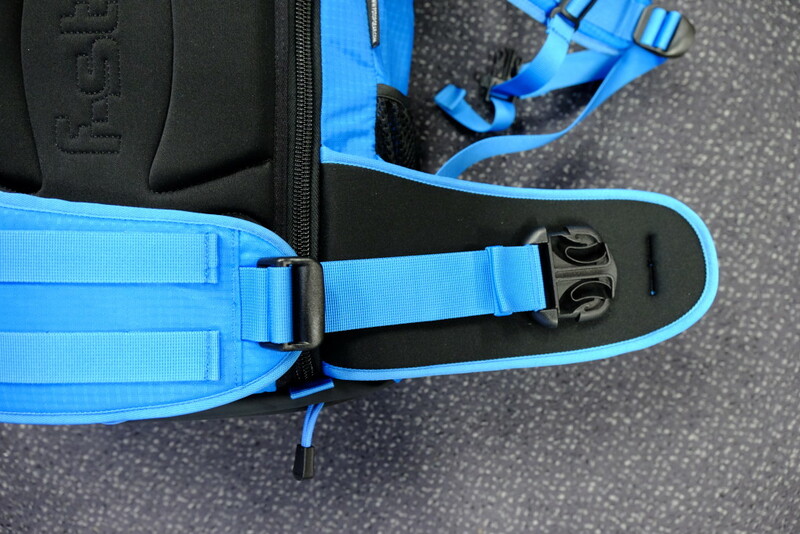 The tripod can be strapped to both sides of the bag with two compression straps. 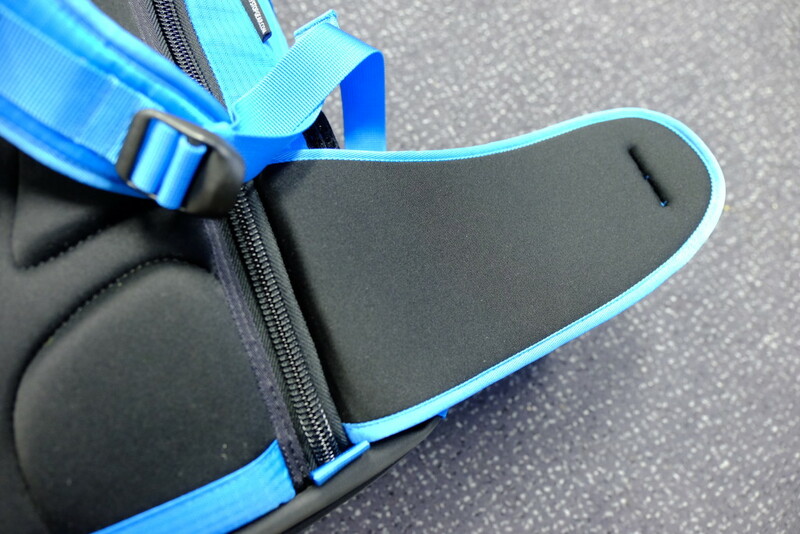 Tripod legs can be placed inside the low sidepockets for extra security. The tripod can also be strapped to the back of the pack, but this is something I’ve never done, since it is then difficult to place the bag on the ground on its back. As I said: not much to dislike. Except perhaps the price. At around 250 dollars retailprice, it is definitely not a cheap backpack. That is to be expected, as it really is a quality pack which is, in my opinion, worth the high price. However, you do not get much extra. 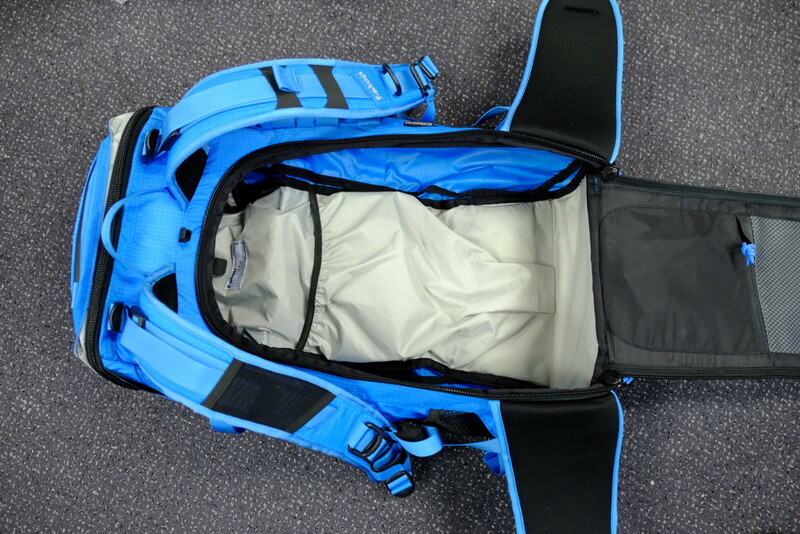 A raincover, a sleeve for the water reservoir, extra straps, ICU’s. 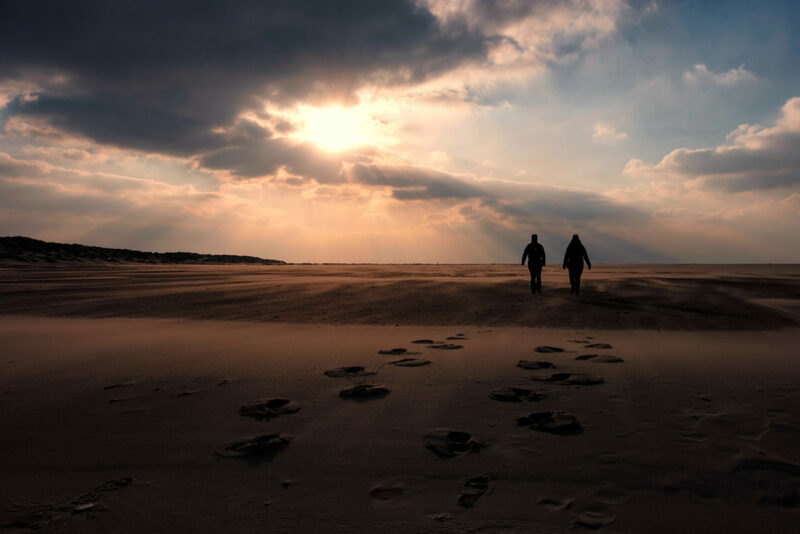 All can be obtained, but the costs add up.